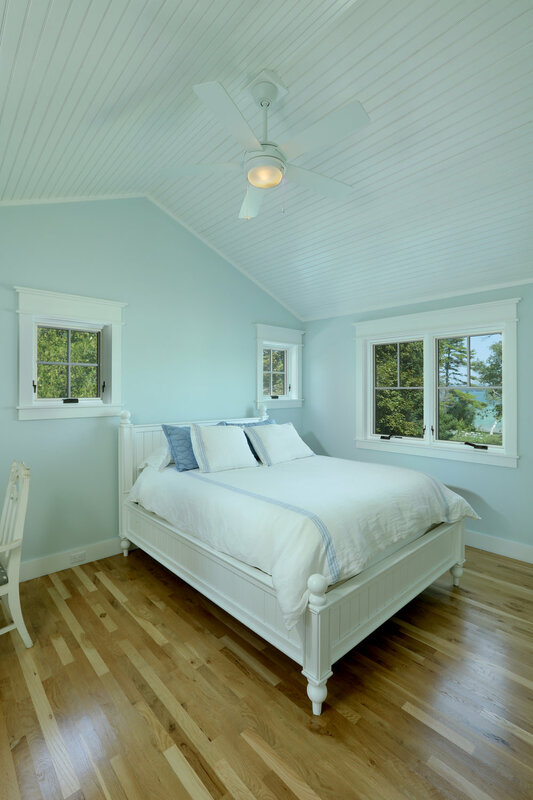 Bay Cottage — Visbeen Architects, Inc. This lakefront farmhouse skillfully fits four bedrooms and three and a half bathrooms in this carefully planned open plan. The symmetrical front façade sets the tone by contrasting the earthy textures of shake and stone with a collection of crisp white trim that run throughout the home. Wrapping around the rear of this cottage is an expansive covered porch designed for entertaining and enjoying shaded Summer breezes. A pair of sliding doors allow the interior entertaining spaces to open up on the covered porch for a seamless indoor to outdoor transition. The openness of this compact plan still manages to provide plenty of storage in the form of a separate butlers pantry off from the kitchen, and a lakeside mudroom. The living room is centrally located and connects the master quite to the home’s common spaces. The master suite is given spectacular vistas on three sides with direct access to the rear patio and features two separate closets and a private spa style bath to create a luxurious master suite. Upstairs, you will find three additional bedrooms, one of which a private bath. 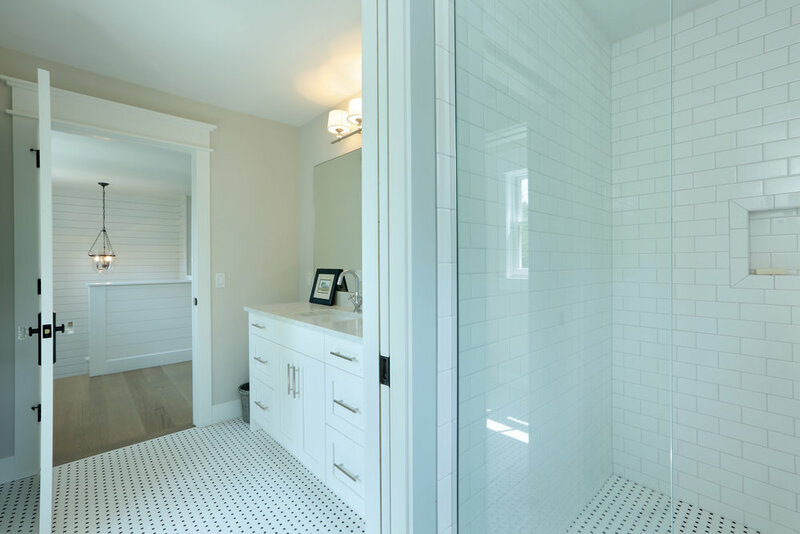 The other two bedrooms share a bath that thoughtfully provides privacy between the shower and vanity.